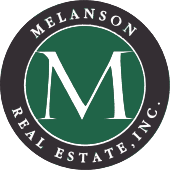 Melanson Real Estate proudly serves Wolfeboro and the surrounding area of The Lakes Region of New Hampshire including: Tuftonboro, Moultonborough, Center Harbor, Meredith, Laconia, Gilford, Alton and more. We at Melanson Real Estate would like to express our thanks to our clients. We are grateful for the friendships and loyalty that have been built throughout our many years in business and look forward to maintaining those relationships in the future.